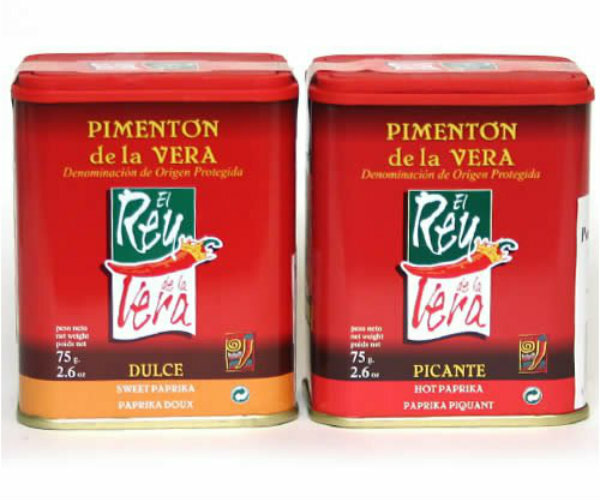 This set of two tins of smoked paprika (pimentón) is from the La Vera region of Spain. One is sweet (dulce), and the other is spicy hot (picante). It is a 100% natural product without any preservatives or chemical additives. Pimentón makes a great addition to barbecue rubs and adds exciting flavor to many smoked and grilled dishes.